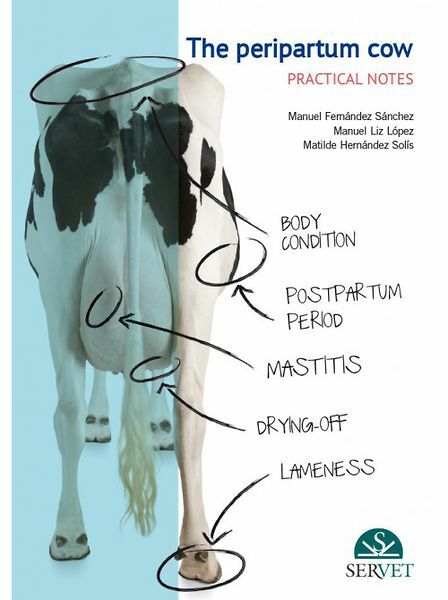 The cow’s peripartum period from a practical and dynamic point of view, explained through theoretical explanations and a huge collection of clinical cases. Normally, disorders or conditions occurring in the peripartum period are not independent events; they are the result of the interaction of several events occurring over time. The authors highlight here the importance of assessing bovine pathologies as a whole. It is the only manner for the clinician to anticipate conditions that may appear during the peripartum period.